Disability Classification on the IEP: Does it matter which box is checked? Home » IEP Advice for Parents » Disability Classification on the IEP: Does it matter which box is checked? I can’t believe that I haven’t done a post on Disability Classification on the IEP before. Well, actually I can. I’ve been asked before and it’s a pretty big piece to bite off and chew. The 14 classifications of disability on the IEP. Does it matter which box is checked? Can you have more than one IEP disability classification box checked? What if you disagree with the team on which disability classification to check on the IEP? But thankfully I am not doing it until now, because my thinking has really changed on this. One great thing about being an advocate and meeting so many parents is that I get so many viewpoints on issues. It genuinely helps me learn and form opinions. And my opinion on this, much like my opinion on vision statements, has changed. Does it matter which classification box for disability category is checked on your child’s IEP? Yes. Or maybe not. See, this is why I didn’t want to do this post before. Mostly yes, I lean towards yes. Let’s dig in, shall we? First, let’s go over the background of this. IDEA has defined the disability categories. Here there are listed, with a link back to Parent Center Hub for more explanation if you need it. After your child goes through their initial evaluation, the team should present you with a report called an Evaluation Report (ER). The first time the child receives this, it is called an ER. Every time after that, it is called an RR, for RE-evaluation Report. The length of time in between evaluations varies by state, and also should be noted that any time a child has a significant change, a re-evaluation should be done. Ok, so you have your ER/RR and at the bottom or on a separate sheet, you should receive a formal declaration that says “We find your child to be eligible/ineligible for special education services…” blah blah blah. If eligible, one of the categories will be noted. Schools cannot, and usually do not, diagnose kids. They are finding your child to be eligible or ineligible based on the criteria for each classification category. That’s it. They are determining eligibility, not a diagnosis. A diagnosis from a doctor or specialist does not guarantee eligibility. Nor does being eligible for an IEP classification mean that your doctor will diagnose either. First, you will hear all kinds of theories and rumors from other parents about Disability Classification on the IEP. It’s rumored that the school gets more money for some categories than others, that it is easier to get services under some categories than it is under others and so on. Take it all with a grain of salt, please. Because remember, does it matter? Nope, we don’t ask why. I don’t care how much money they get for one category over another, I care that my child’s needs are met. If you asked me this question just a few years ago, I’d say, “Nah, doesn’t matter.” I felt that as long as the child’s needs were being met, that all areas of need were identified and each area of need was sufficiently addressed and supported, that this was a battle that parents didn’t necessarily have to fight. I feel differently now. Mind you, if your child’s needs are otherwise being met, and you just don’t have the time, energy or cognitive horsepower to fight this battle, that’s up to you. I will never be the advocate that tells parents that they have to fight every battle. We all have our limits. First and foremost, I want the child you see on paper to match the child that is sitting in front of me. If he has dyslexia (and we have that documented) I want it to say SLD, not OHI. If the child has autism, I want it to say autism, not ED. But whyyyyy, if needs are otherwise being met, why? Well, first, I have found too many times that classification drives placement. If my child needs an autism support classroom, I want him there. Not an MDS classroom and vice versa. By biggest, I mean most the most frequent. Because I see this happening all over the place and it’s got to stop. And that is-autistic kids being labeled as ED. Because the child is exhibiting behaviors consistent with ED behaviors, they get this label. Even if it is noted elsewhere that the child is autistic. 99.9% of the time the root of the problem is that the child’s autism is NOT being properly supported which is leading to behaviors. Support the autism, and the behaviors will fade. As I said, this is a common problem, and I’ve heard all kinds of bs and reasoning behind it, but it is now a battle I would fight. If a child is not blind, we don’t label him blind even if he exhibits similar behaviors to blind kids. So why is it appropriate to move a kid from autism to ED? It’s not. So what do I do if I don’t agree with the classification? 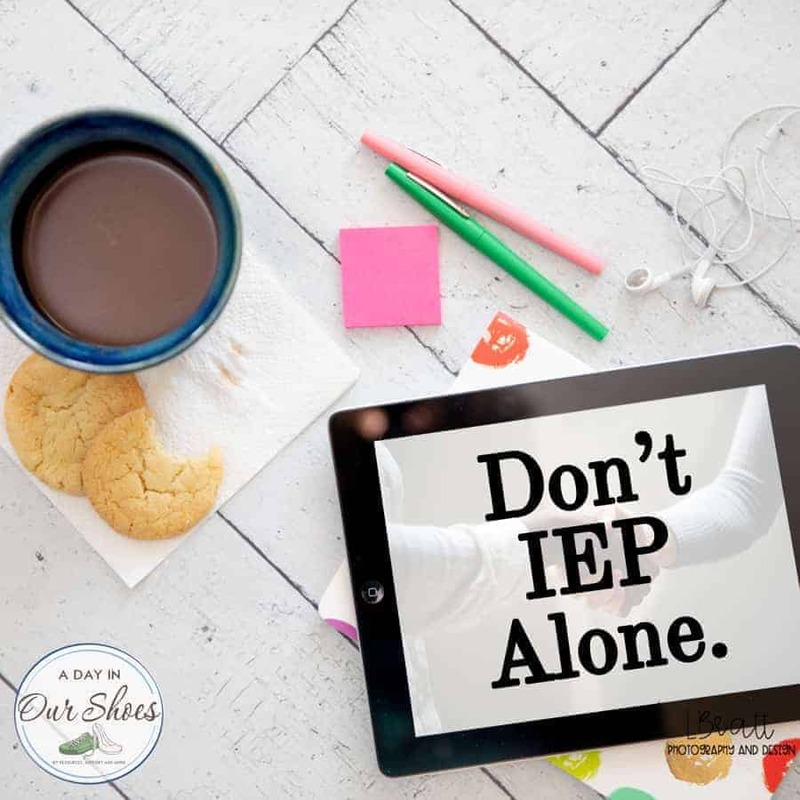 Like anything else, use the IEP process. Document, document, document. Make sure it is in your parent concerns and your parent letter of attachment. When you get the PWN, you have choices to make. Would I spend $10,000 on Due Process for this one thing, if everything else was ok? Probably not. But what I have found, it is very rarely just this one thing. If a school is mislabeling kids, why? It’s not a good practice, so why do it? And what are the chances that the school district has a policy (written or unwritten) of doing this, and then does a stellar job on everything else? It matters. Some labels carry stigmas. Can they check more than one IEP classification disability category? Let me ask you this- Can you be blind and autistic? Can you have a learning disability and need to use a wheelchair? I think you have your answer. Some states have limits as to how many boxes you can check. In that case, prioritize. I’ve evolved on this one. I want the kid in front of me to look like the kid on paper. That’s a solid IEP. « After the IEP meeting~What to expect + what parents need to do.